Did Xiaomi Foldable Phone Just Steal The Samsung’s Thunder? Among the smartphone trends 2019, Foldable phones are the new talk of the town. Samsung announced one of its types long back. However, it is not able to launch one till date. And now, when the Company is planning to launch on Feb. 20, Lin Bin, Company president and Co-founder confirms the Xiaomi Foldable Phone. Although I am not the best person to advise, Samsung really needs to learn from the prototype of Xiaomi’s Foldable phone. Till now, Huawei, the world’s second-largest smartphone brand was challenging Samsung as seen in case of the first smartphone with Punch-hole camera. But with the confirmation of Xiaomi’s Foldable phone, it seems like Samsung has one more brand to compete with. 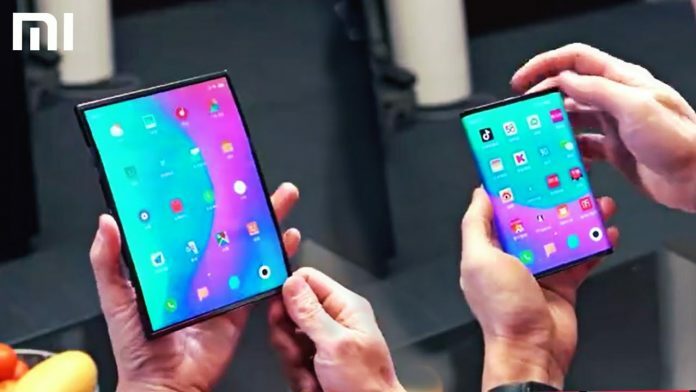 The FlexPai, World’s first folding smartphone could not do that great, as witnessed in CES 2019. It is bearable in the form of a tablet but It doesn’t look nice when folded. It seems like it did it in order to be the first one. The statement doesn’t justify, though. What’s Great About Xiaomi’s Prototype for Folding Device? And Should Samsung Be Worried? The Xiaomi Foldable phone uses double-hinge, unlike Samsung. I do not know what will be its benefit though, but it looks way better than other folding prototypes revealed so far. It looks more flexible and practical to use. The video gives only the prototype for how the device bends, camera placement is not yet seen. I do not know how Xiaomi will take its challenging device to the end. But what I can say is, the device will give a tough competition to Samsung Galaxy X, Galaxy F and what not. When a prototype can steal its thunder, It will be interesting to see how Samsung responds? Will Samsung stick to its original prototype? Or Will it delay it further as it is doing since so long? Another brand, Motorola is in the queue to revive its iconic RAZR with the folding screen. Lenovo and LG are also working on their devices. How much time will they take to reveal one? Who will be the first one to unveil after FlexPai? Everything remains unclear so far but it will be interesting to watch, for sure.